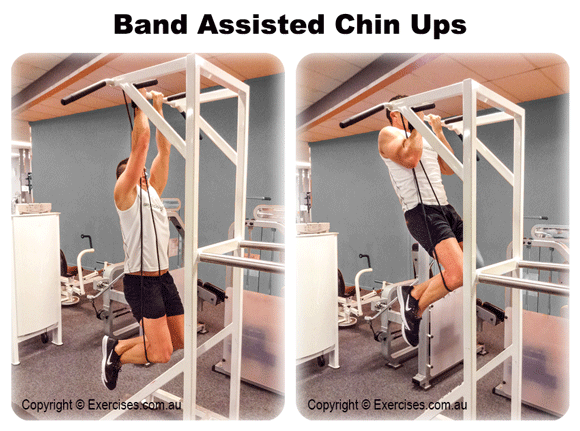 Band Assisted Chin Ups is an effective exercise for targeting your lats, upper back, traps, rear shoulders, biceps and forearms. 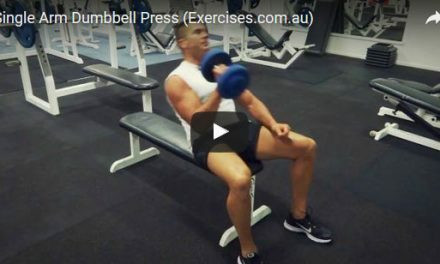 It is an alternative exercise for those who cannot do traditional Chin Ups or get it done in correct form. Bands come in different sizes and thickness levels which determine the amount of assistance it will give you on the chin up. Use thicker, heavier bands when starting out but gradually reduce the level of assistance as the exercise becomes easier. Your goal is to be able to do a Chin Up without assistance. Loop a band around the chin up bar. Step on the platform of a Chin Up station, take an underhand grip on the chin up bar and place one knee inside the loop of the band. Hook your feet from behind for stability. Slowly lower yourself to the bottom position. Keep a slight bend in your elbows at the bottom position. 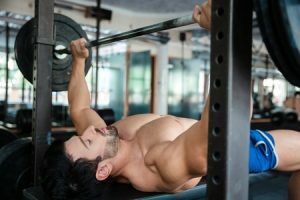 Contract your lats and pull yourself up until your chin is over the bar. Hold the position for a count of “one”. Resist your bodyweight as you go back to starting position. When pulling yourself up, do not lean back too much as this places compression forces on your lower back. Pull up in a straight line; elbows must track toward your lats.